Years ago, when I started this site, I tried to decide what to call it. I vascillated between Home Management 101 and Household Management 101. As you can tell I eventually settled on the termhousehold management, and it was because I decided on the philosophy of what I wanted this site to be about. You see, I define "household management" differently than I do "home management." My definition of home management is that it encompasses the actions necessary to take care of the home you live in, and to keep all the systems within the home, such as laundry and cleaning, under control and functioning properly. How I define household management encompasses my entire definition of home management, but adds what I believe to be a very important additional consideration -- the family that lives within the house. Who cares if your home is perfectly managed if the people living inside it are not happy and fulfilled -- including you! 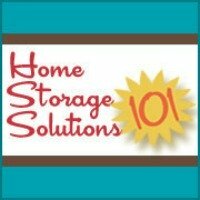 Therefore, Household Management 101 doesn't focus only on tips and techniques of how to clean your bathroom, or how to do your laundry, although those practical skills and knowledge are important. Instead, this site goes above and beyond that. It is dedicated to learning how to integrate the necessary skills of home management into your family life, where kids learn to do chores and everyone contributes to the family well-being, and also how these same routines and familiar consistent structure can help your family thrive and grow. 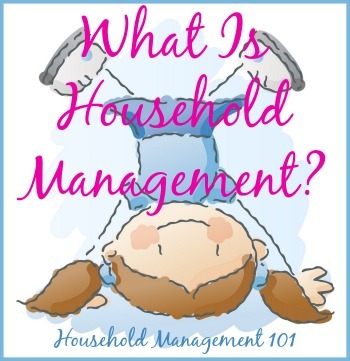 So, what is household management? At least for me, it is the act of focusing not just on the mechanics of home organization and cleaning, but taking a bigger picture view of how these actions effect and influence all aspects of your family life.